Video games, video games, video games. Fall and early winter is that time of year when all of the blockbuster games come out. There have been some decent games that have come out this fall, but I feel that 2014 overall has been a bit of a lackluster year for gaming. I definitely have played less games this past year, and I am not entirely sure if it is due to the selection of games out or if it has to do with my available time. I put a lot of time in at the end of the summer and through the early part of this fall playing Pikmin 3. That game is quite good, but it had one of the most frustrating ending levels I have ever played in any game. I seriously almost did not make it through that game simply due to the ending. Just prior to Thanksgiving I also took advantage of a sale over at target and picked up three games; Sunset Overdrive, Shadow of Morodr and Bayonetta 2. 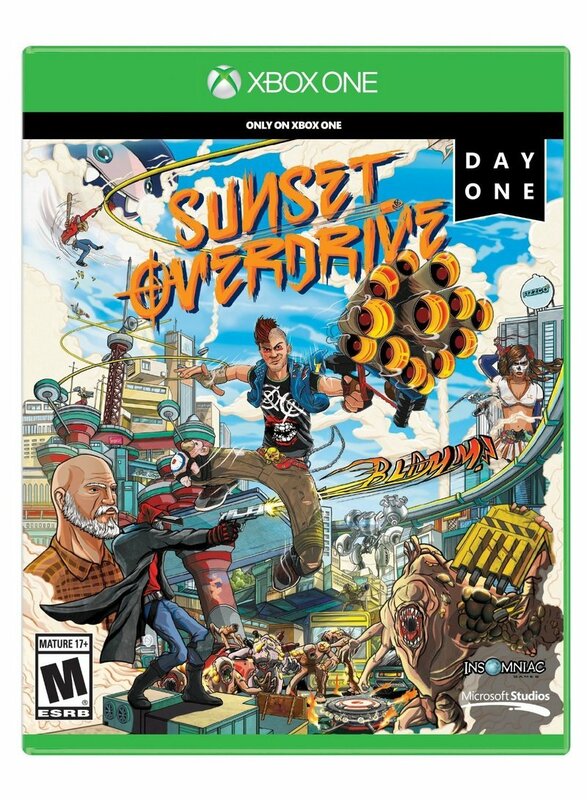 I had a lot of fun playing Sunset Overdrive. It was a great looking game that had that goofy, over the top mayhem that is reminiscent of the first Crackdown. I beat the single player mode, but I hope to put in a little bit more time playing the multiplayer and getting all of the collectibles. There is a good, mindless sort of fun about the game that really hits well. I also started playing Bayonetta 2 over the past couple of weeks. I enjoyed the first game, but this second one really nails the over the top Japanese aesthetic and action along with overt sexuality, subtle and not so subtle puns and crazy fight sequences. The game is fast, smooth and really does look quite gorgeous. For anyone who thinks the Wii U doesn't have games, they really need to look at the releases for 2014 that Nintendo has put out. It really is a stellar system right now. Finally I started playing Shadow of Mordor just a couple of weeks ago. That game is straight up an Assassin's Creed clone, right down to the map. I have only put in a few hours so far, but I can't say I am hooked. People online seem to really love this game and many have it as their game of the year. The nemesis system, with the orcs is cool, but the game has not captured me. The opening couple of hours are difficult since the tutorials are almost non-existent. What little information it does put across the screen for you disappears too quickly. The text in the game is also incredibly small and if you are sitting any more than four feet from your TV you simply cannot read it. I hear it gets better and I am planning on still playing it. I sort of found myself this weekend though falling back into a game that has to be my game of the year if simply for the hours I have put into it. Titanfall. I have played over eighty hours of that game since its release last March. A took a break for a few months as if burned itself out, but Microsoft had it on sale for $12 over the Thanksgiving holiday. I booted it up again this weekend and it is as fun as ever. I am probably going to see myself playing that for another few weeks over the holiday break as well. As you know, over the past couple of months I have been slowly increasing my record collection. 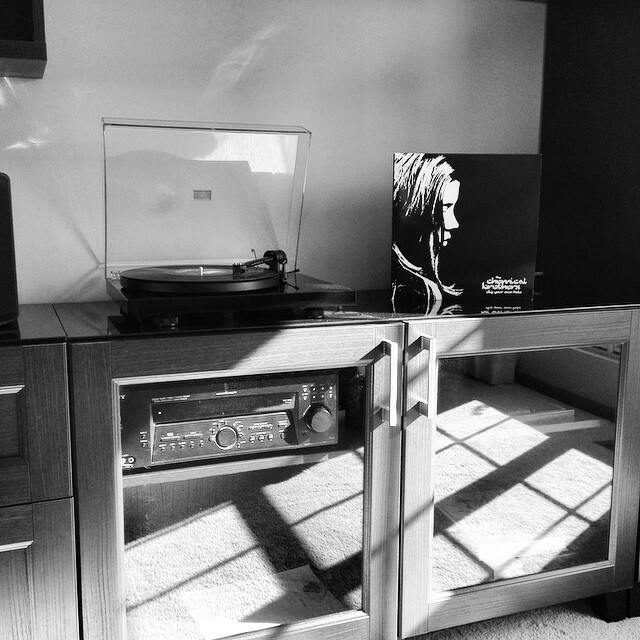 The purchase and setup of a record player in my house has been a sort of cathartic and enjoyable experience. 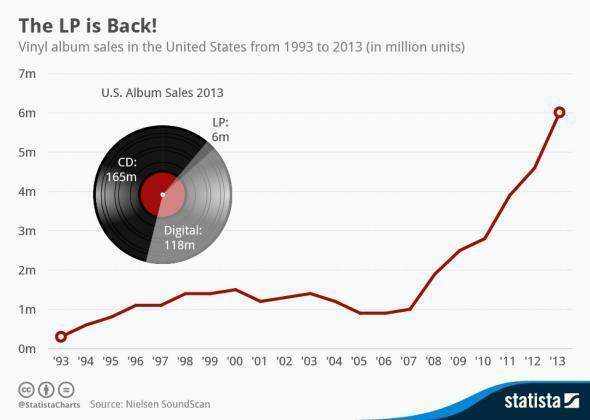 It seems that there is a definite upswing for record sales purchases as of late. While records themselves represent a paltry 6 million in total sales, their increase over this past year has showed a definitely trend upwards. I have noticed just this past weekend while shopping, that the local Urban Outfitters, very prominently features records in the front of its store now. While a lot of this may be a bit "hipster" for these sales, there is certainly a level of satisfaction that you get when buying a record. Don't get me wrong, I still prefer mp3's for most use cases. For me they sound good and their convenience far outweighs anything else, but having a physical product in your hand or at your doorstop is something that I haven't felt in a long time. I remember back in high school going to Best Buy or the big Virgin Music on Michigan Avenue to buy a CD. Walking out of that store with a physical thing that I would tear the cellophane off of was exciting. Liner notes and those inner booklets were always something I looked forward to with CD's. That whole physicality has been lost with digital music. When was the last time someone cared about the design of the booklet in a digital album beyond the cover? Yes, this is a bit of nostalgia funk, but at the same time there is something special about having to deliberately hold the album, look at the track listing and then sit down and listen to it. It all just makes me want to get more albums. Woot. I am proud to say that I once again completed Nanowrimo again this year. I actually finished on Friday, the 29th with a total of 50,053 words. I had a big day typing on Friday, a bit over 7,000 words since I got no writing in on the 27th or 28th. Most of that day was productive with some really good text put down, but I have to admit that the last 2,000 words or so was just a garbled mess as I tried to hit my word count. Now of course comes to the all important part of going back and editing and in some cases, completely rewriting the stories. I never finished my editing on last year's project, so it is time I get back into doing that. I am planning to have a much more productive time with my writing over this winter and planning out my editing in a much more controlled fashion. At this point, I think I am going to take a break from Apath and Spice and head back over to last year's novel to keep working on that.